Liz: The Elizabeth Taylor Story, a two-part miniseries on the life of Elizabeth Taylor aired on NBC twenty years ago this week, on the evenings of May 21 and 22, 1995. It isn’t regarded very highly among Elizabeth Taylor fans but it has a great deal of significance for me: It inspired my lifelong love affair with Elizabeth Taylor and started me on a journey that I could never have anticipated. I was eight years old at the time and had never heard of Elizabeth Taylor before—or if I had, the name didn’t register as I sat down to watch TV that evening. While channel surfing I stopped on Liz and sat mesmerized as her story unfolded before me. I had a strict bedtime and couldn’t stay up to watch the entire first part so I set the VCR to record what I would miss. The following night, when part two aired, I didn’t even bother to wait to record the portion I would miss when bedtime came around again—I wanted every second recorded for posterity. Looking back I have tried to understand what it was about her story that resonated with my eight year old self. Perhaps even at that young age I was able to recognize her ability to triumph against adversity time and again. She was, and always will be, the ultimate Hollywood survivor. Later that summer my family moved. I was forced to leave behind all my friends and that September, when the new school year started, I found it difficult to make new ones. But at least I had Elizabeth as a refuge, and for that I will always be grateful. In June 2001 I established an online Elizabeth Taylor discussion group which later spawned the creation of this website, The Elizabeth Taylor Archives, in 2005. While my friends and family have always been so good about indulging me in my love of Elizabeth Taylor, it’s been exciting to meet other people from all over the world who are just as passionate as I am and the greatest byproduct has been the friendships I’ve made as a result. It’s funny how little Elizabeth actually comes up in conversation. We’ve been there for one through the death of loved ones, sharing in each other’s good times as well as bad. We talk books and movies, and exchange recipes and talk about current events. As one of them mentioned in many ways they watched me grow up, make mistakes, graduate university and even and move abroad for a time. It’s hard to articulate what these friendships have meant to me but I’m certain these individuals know that they have a very special place in my heart. I wonder if Elizabeth knew just what a “connector” she was in the lives of people she didn’t know? For a longtime I thought it was a forgone conclusion that I would never have the opportunity to see my idol in person. Her health issues meant that her public appearances became increasingly rare, but all that changed the evening of November 10, 2005. I learned that she would receive the BAFTA/LA Britannia Award for Artistic Excellence in International Entertainment. I flew from Toronto to Los Angeles in the hopes of catching even a fleeting glimpse of her. Reports that she was on her deathbed had been circulating for weeks in the tabloids and I was nervous that I had flown all that way for a no show. You can imagine my astonishment when, seated at my table at the Beverly Hilton Hotel, I turned around and my eyes met hers—I was staring into the movie’s most fabled eyes, and the Krupp diamond shone like an orb on her finger. The only word I could summon was, “Hi!”, with I’m sure was a stunned look on my face. She beamed at me and replied, “Hiiii!” in that unmistakable voice of hers, and off she went to accept her award. I was on cloud nine for weeks. Two years later, on World AIDS Day 2007, I was fortunate enough to attend her one night only performance in A.R. Gurney’s Love Letters alongside James Earl Jones. The evening raised one million dollars for The Elizabeth Taylor AIDS Foundation and would mark the last time she would ever act, onstage or off. Everyone in that theatre felt as though we were witnessing history. So, twenty years after I first sat down to watch that TV film, I want to thank Elizabeth Taylor for all that she has given me. So many of my passions can be traced back to her—my love of classic film, theatre, books, and travel. She has brought into my life so many wonderful people who have become family. Her example in the fight against AIDS has taught me that it’s our responsibility to stand up to injustice and help others. And one maxim of hers that I try to adhere to daily is that to live an authentic life you must do it on your own terms. 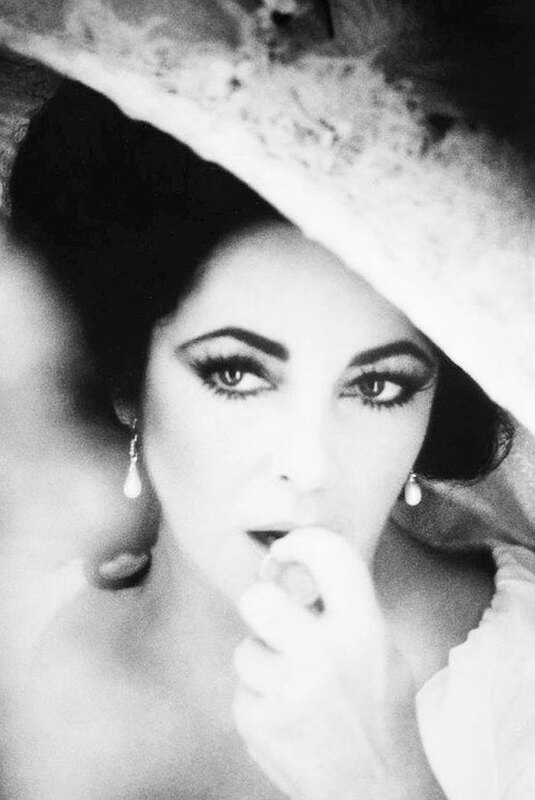 Few people have proved that more than Elizabeth Taylor. 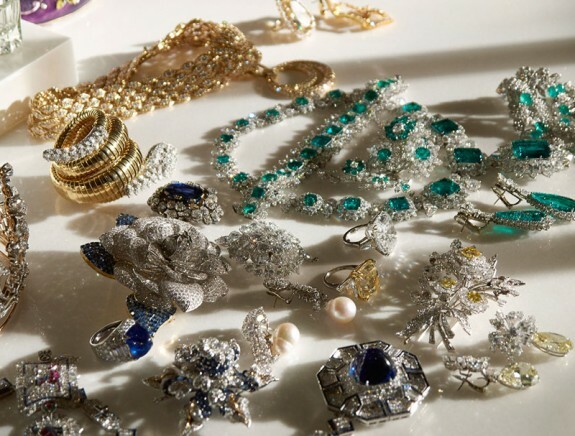 Photographer Catherine Opie’s book, 700 Nimes Road, a collection of photograph’s of Elizabeth Taylor’s legendary collection of jewelry, couture and other memorabilia now has a release date. The book will be published by Prestel Publishing, part of Random House Publishing Group, on September 1, 2015. Opie “a contemporary documentary photographer particularly known for her focus on ideological issues as well as formal photographic processes and techniques” whose work hangs in New York’s Guggenheim and the Museum of Contemporary Art in Los Angeles, began photographing Elizabeth’stheir natural habitat in January 2011, three months before Elizabeth’s death. The book’s title is an homage to the stately Bel-Air address where Elizabeth lived from 1981 until her death in 2011. 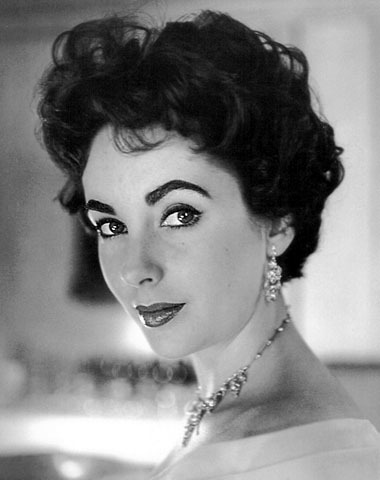 The photographing continued up until the pieces were removed from the home to be sent on a world tour ahead of Christie’s landmark auction of The Collection of Elizabeth Taylor in December 2011. Elizabeth’s couture hanging in the closet. 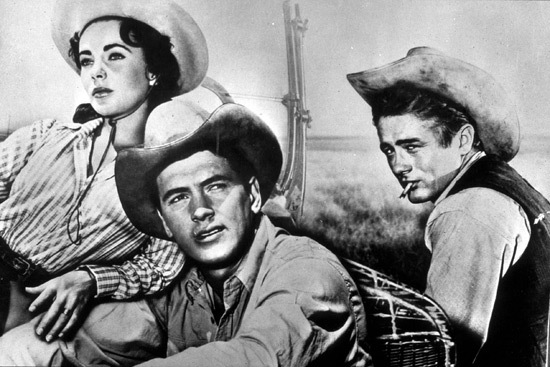 Next month PBS will air a new documentary on the 1956 Elizabeth Taylor classic Giant. Children of Giant will air as part of VOCES, a series “devoted to exploring and celebrating the rich diversity of the Latino cultural experience” on Friday, April 17, 2015. Check your local listings for details. Elizabeth photographed by Zahedi during the filming of A Little Night Music. Photographer Firooz Zahedi is hard at work on a book about his friend Elizabeth Taylor, Liz Smith revealed in her column yesterday. The book will boast approximately 200 photographs–many published for the first time–as well as essays. Zahedi first met Elizabeth in the 1970s when she had a fling with his cousin, Ardeshir Zahedi, the Ambassador to Iran. It was through him that Elizabeth met Firooz, a recent art school graduate and aspiring photographer. While the romance with Ardeshir soon fizzled out, Elizabeth remained friends with Firooz for the rest of her life and he photographed her often. The photographs he took of her on a 1976 trip to Iran were exhibited at the Los Angeles County (LACMA) at the time of her death in 2011. The as yet untitled book will be published by Glitterati Inc. next February, in honour of what would have been Elizabeth’s 84th birthday. 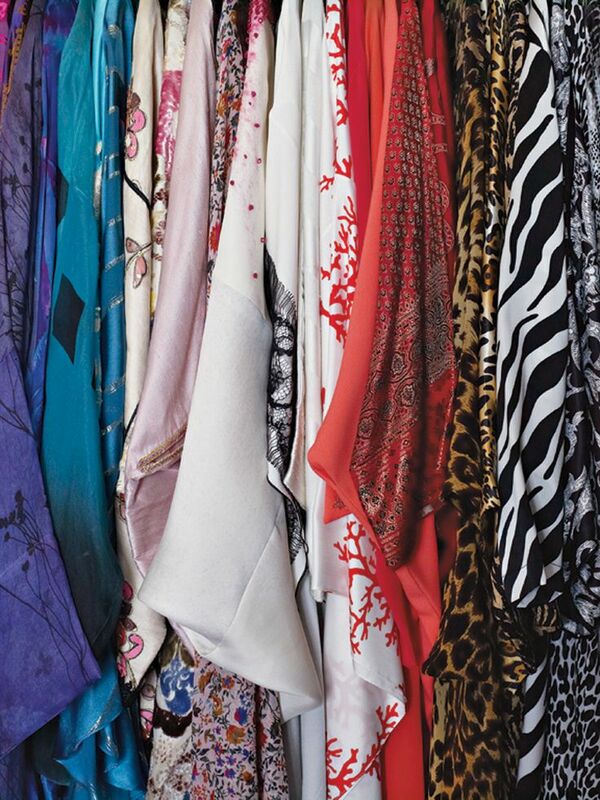 Zahedi’s portion of the proceeds will be donated to The Elizabeth Taylor AIDS Foundation. Zahedi has also been posting a sprinkling of rare photos of Elizabeth on his Instagram account. Below are some of the highlights. To the memory of the summer of 1976 in Persia! BTW Persian New Year comes from the Zorastrian belief that the new year begins on the first day of Spring. Nothing to do with Islam. Here's to the first day of Spring March 20th! 3/23/11. Gone but not forgotten. Elizabeth Taylor and Vivien Leigh are two of film’s most enduring icons. Both are celebrated for their raven hair, porcelain skin, and delicate features, but the two have more in common than their physical appearance. When the family moved back to England, Vivien saw a film starring Maureen O’Sullivan (one of her childhood friends) and decided she wanted to become an actress. Elizabeth’s ambition to act is said to be quite similar. When the Taylor’s decided to seek refuge from London in their native America, Elizabeth saw her first film on the voyage across the Atlantic. The film was The Little Princess, and Elizabeth allegedly vowed then to become an actress. After revealing her career choice to her parents, Vivien was enrolled at London’s prestigious Royal Academy of Dramatic Art. She made her film debut–uncredited–in 1935′s Things Are Looking Up. She would continue to act in films, and on the stage. Her notable film roles during this time include Fire of England and Sidewalks of London, but it wasn’t until 1939′s Gone with the Wind that she was propelled into international susperstardom. The role of Scarlett O’Hara not only became the most celebrated role of her Leigh’s career, but is arguably also the most famous female film role of all time. Back in 1939, when Elizabeth was just seven, Hedda had suggested that David O. Salznick cast her as Vivien Leigh’s daughter in Gone With the Wind. It still rankled Hedda how disingenuous Sara could be about that whole experience, insisting that she’d never had any thought of putting her daughter in pictures. Sara claimed that it was only after ‘people on the street’ had told her how much Elizabeth resembled Leigh that she had even given it a thought. Hedda scoffed at such baloney. 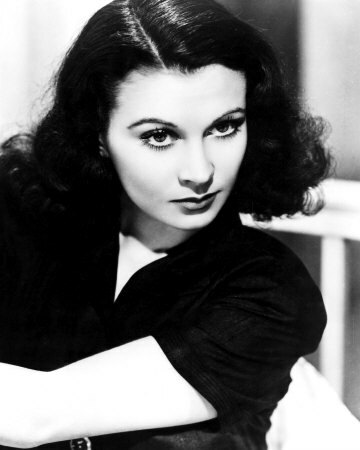 At that point in time, no one had any idea what Vivien Leigh looked like! Of course the entire enterprise had been Sara’s, right from the moment she’d showed up at Hedda’s office with her daughter in tow, obsessed with the idea of getting her into the film. George Michael’s concert at London’s Royal Opera House will benefit the Elton John AIDS Foundation’s newly established Elizabeth Taylor Memorial Fund. Michael, a longtime fan of Elizabeth’s, said he “really wanted to honour the inspiring efforts” of her pioneering work with HIV/AIDS. The concert will be held on November 6. Tickets go on sale tomorrow. 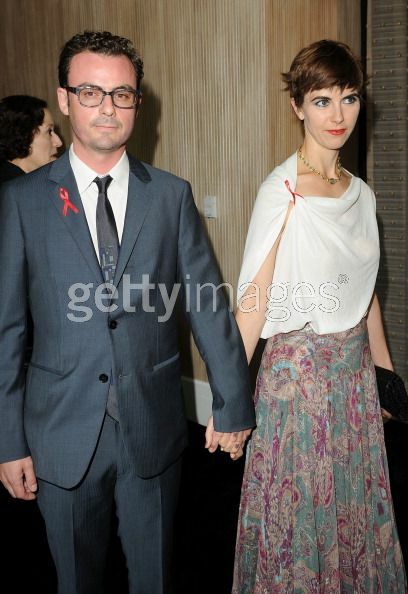 A radiant Naomi Wilding with husband Anthony Cran. 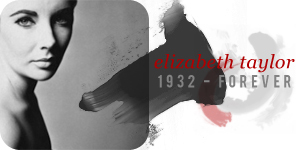 Elizabeth was honoured posthumously yesterday evening with the Norma Zarky Award for her HIV/AIDS philanthropy at the 2011 Women In Film Crystal + Lucy Awards. Elizabeth’s granddaughter, Naomi Wilding, accepted the award on behalf of her late grandmother at the ceremony held at the Beverly Hilton Hotel in Beverly Hills, California. 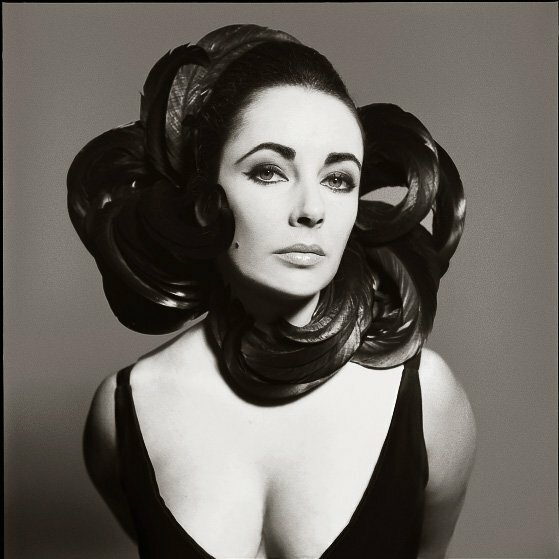 Welcome to the newly redesigned Elizabeth Taylor Archives! All original content © 2017 Andrew Budgell | Dame Elizabeth Taylor Archives. This is an educational site, no copyright infringement intended.